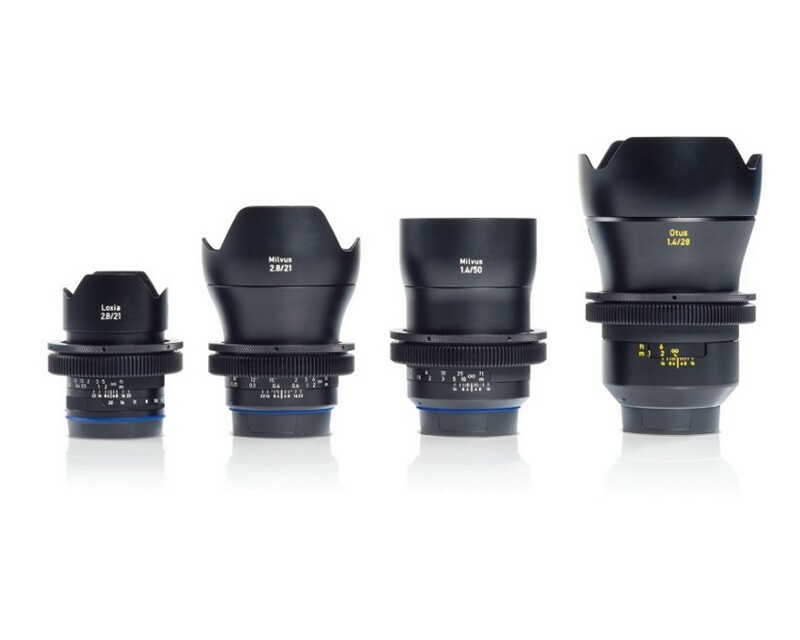 ZEISS Lens Gears make ZEISS Otus, ZEISS Milvus and ZEISS Loxia lenses a proper cine-style lens for professional filmmakers. 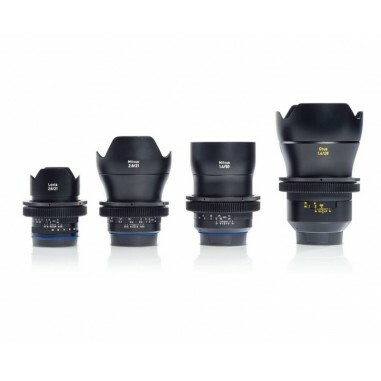 The ZEISS Lens Gears are available in four different sizes: mini, small, medium and large..
ZEISS Lens Gears are supplied with a rubbercovered band, the GumGum, which features an adhesive surface. 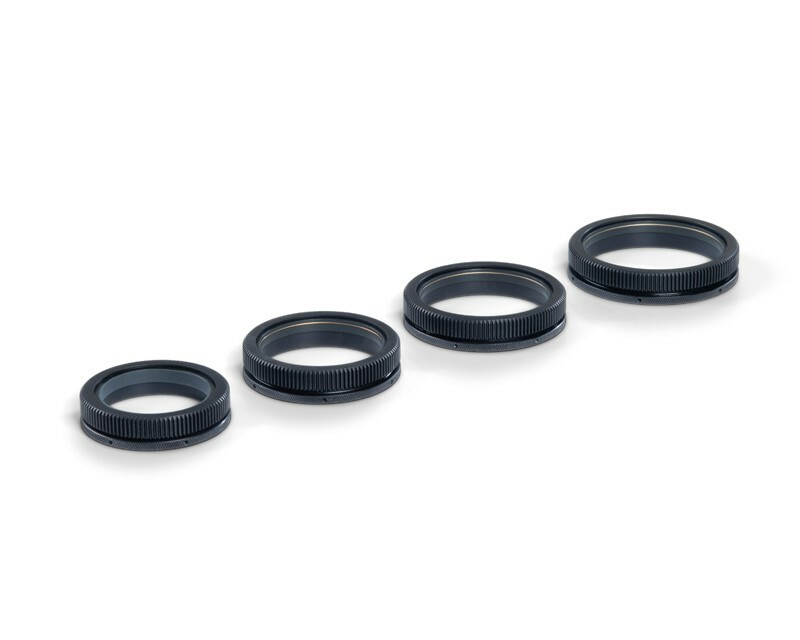 This means the inner diameter can be reduced according to the lens diameter, thus supporting multiple lenses. The GumGum also protects against scratches and other damage to the focus ring of the lens. The ZEISS Lens Gears are made of premium aluminum with a hardened surface coating. 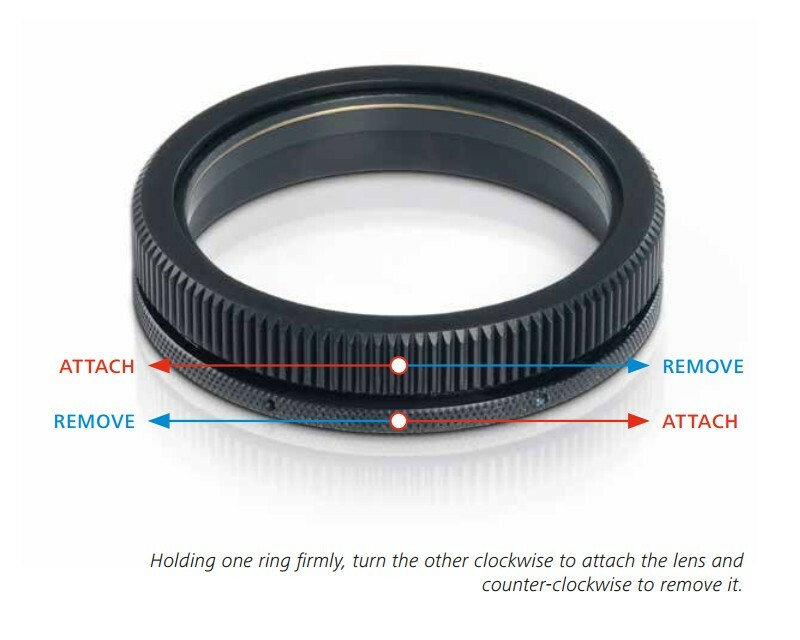 They slide onto the lens and are attached to the focus ring simply by turning the two opposing rings. 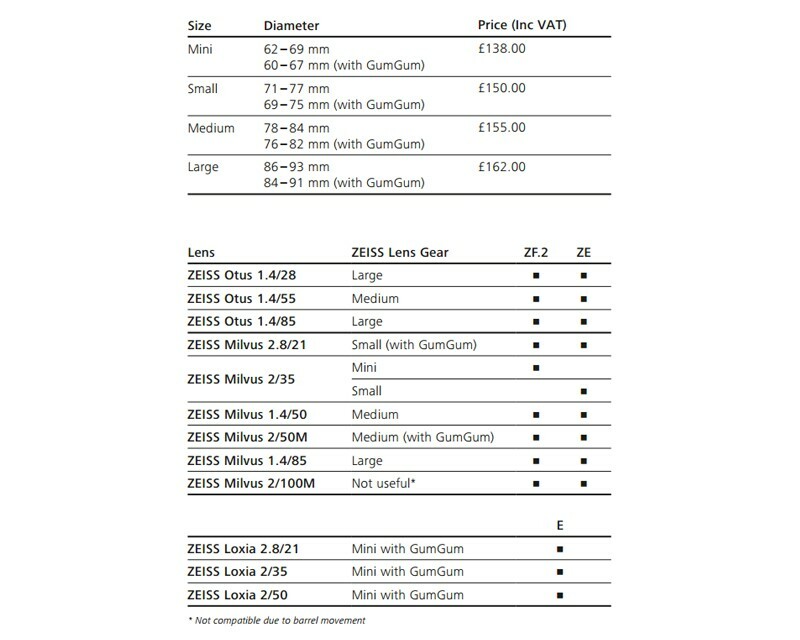 Please note: for lens compatability please either look at the second product image or check the table here. For sizes please see the specifications tab above. **Listing is for one Gear only. 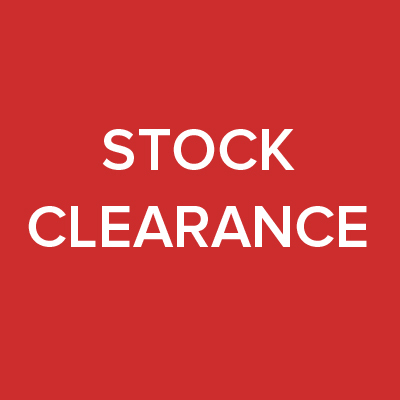 Other sizes sold separately. Lenses not Included.